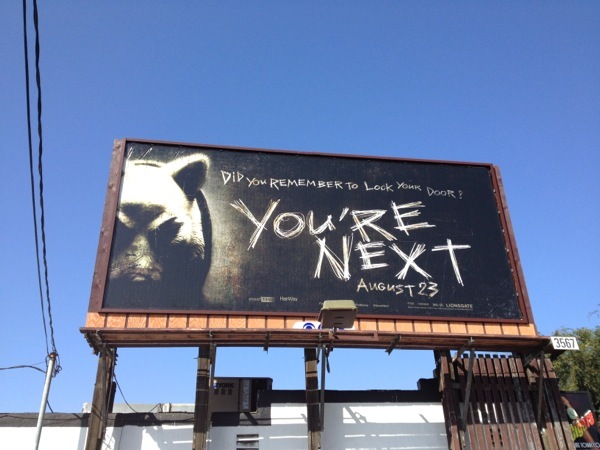 You have to agree these eeire animal mask billboards, combined with the threatening 'You're Next' headline, really make for a creepy and unsettling set of advertisements for this new horror movie. 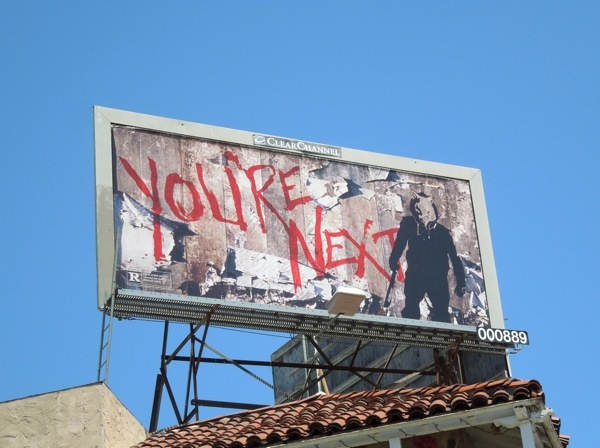 When a gang of mysterious masked axe-wielding murderers attack the 'Davison' family's wedding anniversary getaway they soon find out that one of their intended victims isn't quite as helpless as they seem. 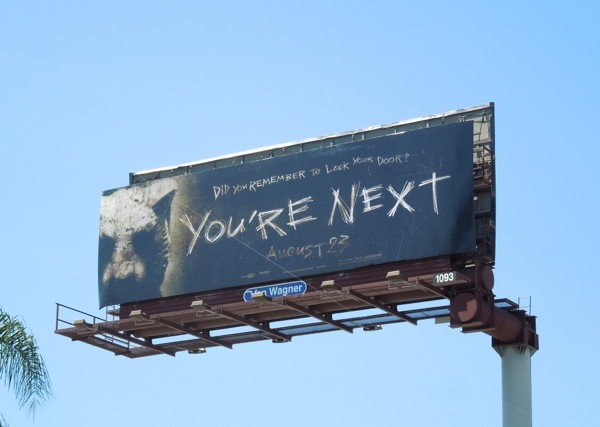 As well as wondering how scary this home invasion film will be, the real question on everyone's minds is will You're Next be the next horror hit to follow in the spooky footsteps of this summer's low budget, high box office successes, The Purge and The Conjuring? 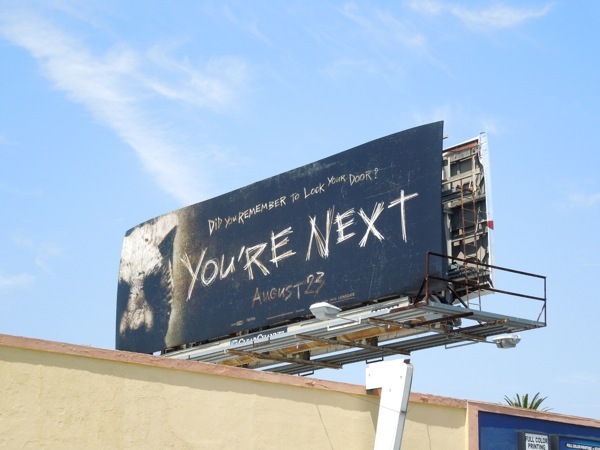 The small billboard ad for the movie was first spied along Santa Monica Boulevard at Robertson Boulevard on July 27, whilst the cool portrait version was spied along Vine Street and the standard landscape ad along Cahuenga Boulevard in Hollywood on July 29, 2013. 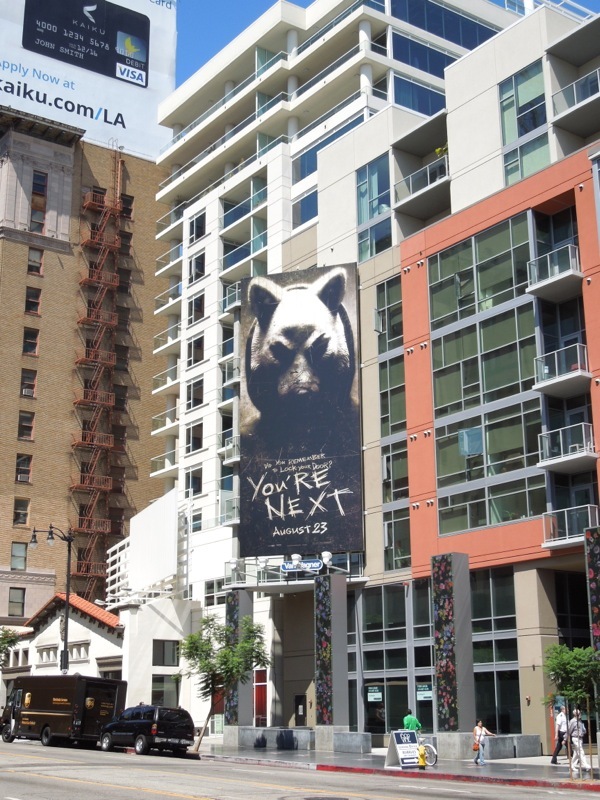 As you're reading this, are you wondering if you remembered to lock your door? 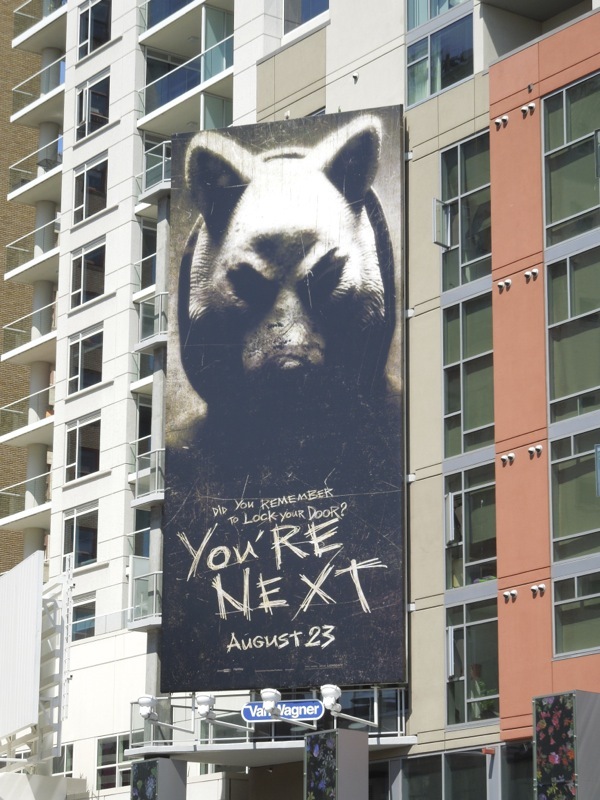 UPDATED: Daily Billboard already loved this ad campaign for You're Next, but then we spied this fantastic creative featuring the film's title graffitied on a mock old tattered and peeling billboard site, which is truly inspired as it really does make you look twice. 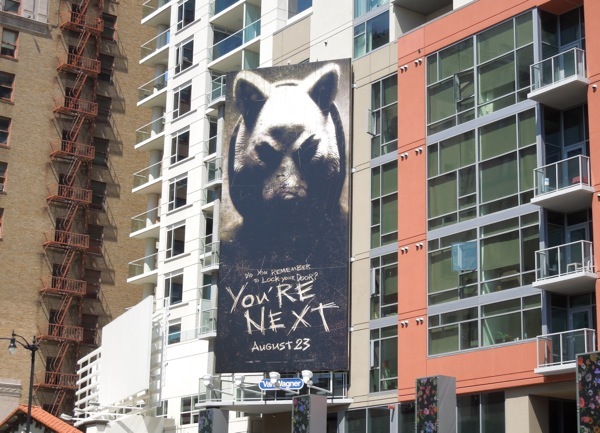 This new movie billboard masquerading as a decrepit old billboard, featuring a foreboding animal-masked figure, was spotted above Melrose Avenue on August 9, 2013, hiding in plain sight. 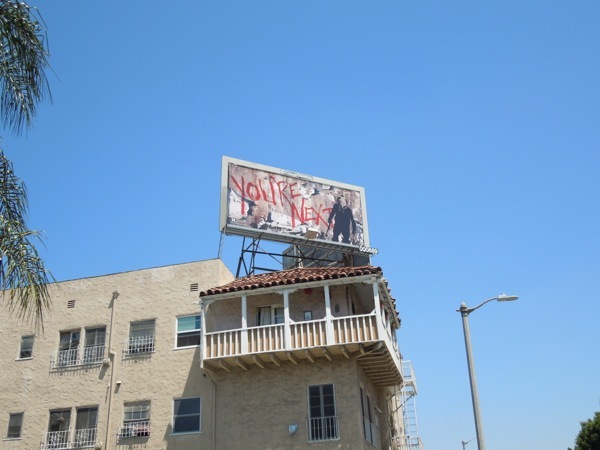 Plus here's another of the creepy standard landscape billboard ads snapped along La Cienega Boulevard on August 15, 2013.